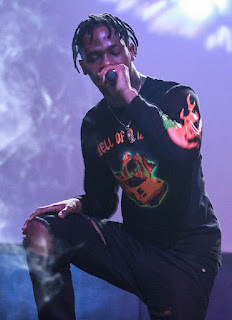 Jacques Webster (born April 30, 1992), better known by his stage name Travis Scott (formerly stylized as Travi$ Scott), is an American recording artist, music producer, and musician from Houston, Texas. In 2012, Scott signed a record deal with Epic Records. In November of the same year, Scott signed with GOOD Music, as an in-house producer, after appearing on the label's debut compilation album, Cruel Summer (2012). In April 2013, it was announced he signed with T.I. 's Grand Hustle imprint. He released his first official full-length project, a mixtape titled Owl Pharaoh, on May 21, 2013. He then released his second mixtapeDays Before Rodeo on August 18, 2014. His debut album Rodeo was released on September 4, 2015.